Amazon's latest edition of Fab Phones Fest will be held from April 11 to April 13 offering lucrative discounts on top mobile phone brands. During the Fab Phones Fest, consumers can avail exciting exchange offers up to Rs 9,000, No Cost EMI starting as low as Rs 833 per month. Besides that, prospective buyers can also get 6-per cent extra value on the sale of an old smartphone via Cashify. That's not all; Amazon customers are entitled to get 10% instant bank discount on using HDFC Bank debit/credit cards & EMI. If interested, they can also avail Total Damage Protection for their new phones and secure their much-loved devices for a nominal fee. The new Amazon promotional campaign concludes on April 13. 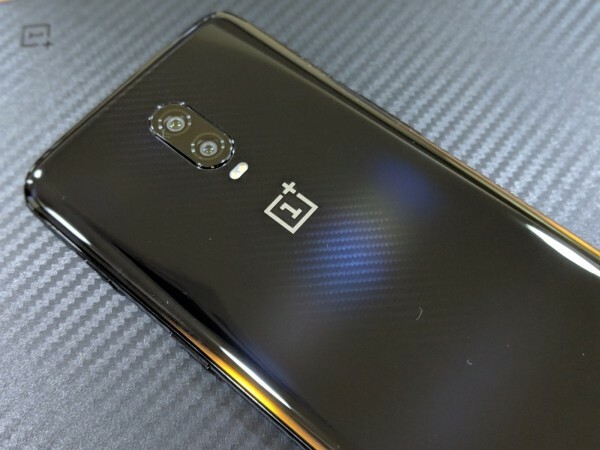 OnePlus 6T can be bought just for Rs 34,999 against MRP Rs 37,999. You can buy here. Xiaomi Mi A2 available for Rs 11,999 and consumers can claim Rs 2,000 extra off via exchange deal. You can buy here. Samsung Galaxy M20, which is currently the Amazon's bestseller, is available for Rs 10,990 and No Cost EMI starting Rs 1,831 per month. You can buy here. The Realme U1 for the lowest price of Rs 8,999 against MRP: Rs 12,999. Also, available with No Cost EMI starting Rs 1,500 per month including Rs 1000 instant discount on all bank credit cards and debit cards. You can buy here. The Redmi 6 Pro for lowest price ever of Rs 7,999. You can buy here. The Redmi 6A available for Rs 5,499 and consumers can claim Rs 500 instant bank discount offer via HDFC card. You can buy here. Apple iPhone X for Rs 73,999 against MRP Rs 91,990 and also No Cost EMI starting Rs 8,222 per month option available. You can buy here. Honor View 20 can be bought for Rs 37,999 with No Cost EMI starting Rs 4,222 per month + Rs 3,000 extra off via exchange. You can buy here. Vivo V15 Pro available at Rs 28,990 with No Cost EMI starting Rs 2,416 per month and up to Rs 3,000 extra off via exchange deal. You can buy here. Oppo F11 Pro at RS 24,990 with No Cost EMI starting Rs 2,083 per month and Rs 2,500 extra off on exchange deal. You can buy here. Samsung Galaxy S9 for lowest effective price ever of Rs 49,990 against Rs 62,500 with Rs 9,000 extra on exchange deal. You can buy here. Oppo F9 Pro available at Rs 17,990 against Rs 25,990 with No Cost EMI starting Rs 2,221 per month and Rs 2,500 extra off on exchange deal. You can buy here. Huawei Y9 at lowest price ever of Rs 14,990 with No Cost EMI starting Rs 4,996 per month option. You can buy here. Honor Play available at lowest price of Rs 13,999. You can buy here. Honor 8X for just Rs 12,999. You can buy here. Vivo Y83 Pro available at Rs 10,990 and consumers can claim Rs 1000 via Amazon Pay cash back on prepaid orders. You can buy here. Redmi Y2 at just Rs 7,999. You can buy here. Samsung Galaxy M10 available at Rs 7,990 and No Cost EMI starting Rs 1,331 per month. You can buy here.